408 pages, paperback, Mongoose, 1. edition 2010. The late Aleksander Wojtkiewicz was one of the most feared players in the U.S. tournament circuit. Using his dynamic, Catalan-based opening repertoire, the "Polish Magician" won hundreds of tournaments before his untimely death in 2006. Now, Wojtkiewicz experts IM Dean Ippolito and NM Jonathan Hilton have joined forces to produce the definitive "how-to" manual for learning Wojo's repertoire with White after 1.Nf3 d5. Over the course of 75 fully annotated games, the authors make Wojtkiewicz's approach easily accessible to the chess public for the first time. Titled players will find up-to-date theoretical coverage of all the lines presented, including the authors' own novelties and little-known ideas. 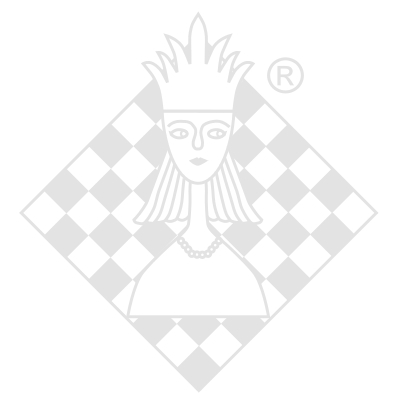 Experts looking to achieve the master title will benefit most from the thorough treatment of middlegame and endgame ideas. Wojo's Weapons is arranged so that you can quickly get started winning the Wojo way. This book is your tool to building a world-class repertoire and to achieving positional mastery. About the Authors International Master Dean Ippolito , a 10-time All-America Team member and winner of 13 national championship tournaments, has more than twenty years experience playing Wojtkiewicz's systems. The author of two other books, Dean operates a successful chess teaching company in New Jersey. National Master Jonathan Hilton is an award-winning freelance journalist. His 2006 Chess Life Online series, "How Wojo Won," was praised for its accessibility to club players. Jonathan has relied on the Polish-American star's repertoire with the White pieces for the better part of a decade. This is his first book for Mongoose Press. 007 Introduction: The "Wojo System"